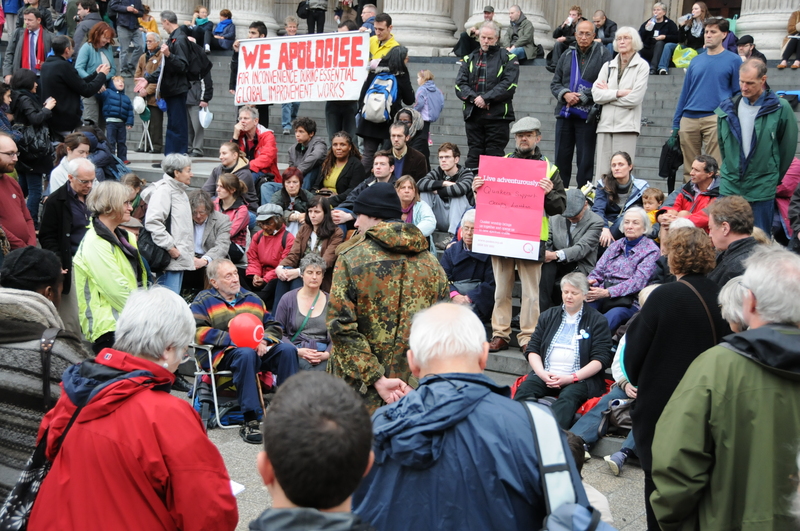 Almost 100 Quakers attended a Meeting for Worship on the steps of saint Paul’s cathedral in London on Sunday afternoon. 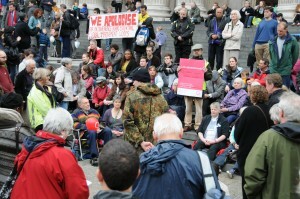 The Meeting for Worship took place in support of the Occupy London movement that is camped outside the cathedral. The Occupy London movement is standing together with similar occupations around the world and is a peaceful non-hierarchical forum. According to their website, Occupy London participants are ‘in agreement that the current system is undemocratic and unjust. We need alternatives; you are invited to join us in debate and developing them; to create a better future for everyone. The Meeting for Worship took place against a backdrop of bell-ringing from both the cathedral and a nearby church. However, Friends present spoke of a strong gathered presence and the symbolism that Friends were worshipping outside on the steps rather than inside the cathedral. The drafters of the statement included Quaker Symon Hill who has written of the statement: “As one of the drafters of the statement, I want to make clear that we want to act in solidarity with people of other religions and of none, not impose our religion on them or claim to be a more important part of the movement than they are. This point is made in the opening line of the statement. 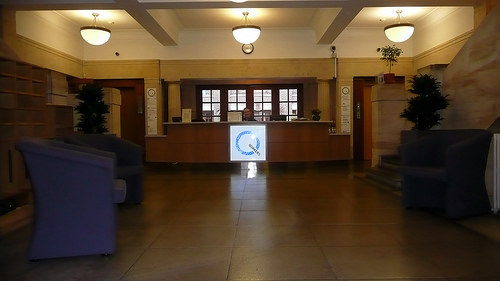 Edit: 31/10/11 17:43 to add that Stevenage Quakers signed the Christian Solidarity statement. Quaker worship on the steps of saint Paul's cathedral. Photo: Martin Kunz. Suggest that you add Tweet links to your posts to make it easier to share them like most media organisations do.